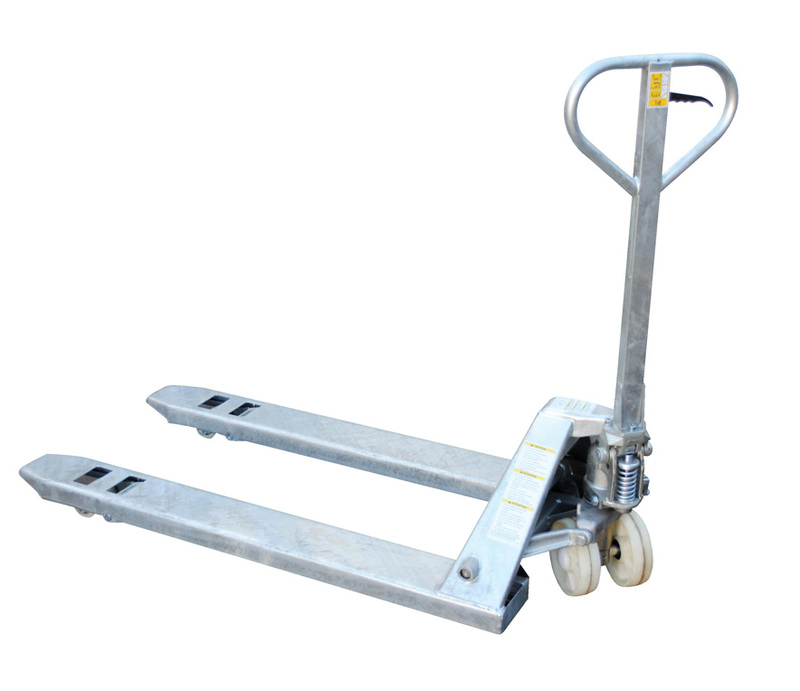 Pallet Trucks Stainless Steel Galvanized Ideal for corrosive environments. 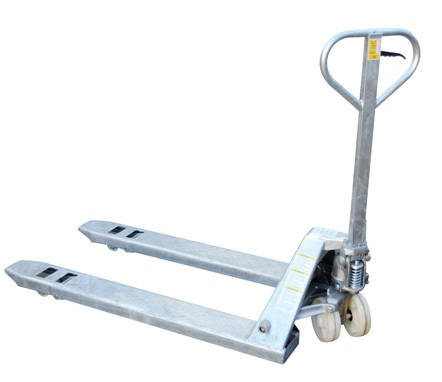 Full-featured pallet trucks were designed for chemical, pharmaceutical, and wash-down applications. 5,500 pounds uniform capacity.